Mitral stenosis (MS), an obstruction to blood flow between the left atrium (LA) and the left ventricle (LV), is caused by abnormal mitral valve function. In virtually all adult patients, the cause of MS is previous rheumatic carditis. Approximately 60 percent of patients with rheumatic mitral valve disease do not give a history of rheumatic fever or chorea, and approximately 50 percent of patients with acute rheumatic carditis do not eventually have clinical valvular heart disease. Other causes of MS are all uncommon or rare.2 Congenital MS is uncommon. MS, usually rheumatic, in association with atrial septal defect is called Lutembacher syndrome. A rare cause of MS is massive mitral valve annular calcification. This process occurs most frequently in elderly patients and produces MS by limiting leaflet motion. When stenosis is present, it is usually mild in degree. Other causes of obstruction to LA outflow include a LA myxoma, massive LA ball thrombus, and cor triatriatum, in which a congenital membrane is present in the LA. Acute rheumatic carditis is a pancarditis involving the pericardium, myocardium, and endocardium. In temperate climates and developed countries, there is usually a long interval (averaging 10 to 20 years) between an episode of rheumatic carditis and the clinical presentation of symptomatic MS. In tropical and subtropical climates and in less-developed countries, the latent period is often shorter, and MS may occur during childhood or adolescence . The pathologic hallmark of rheumatic carditis is an Aschoff nodule. The most common lesion of acute rheumatic endocarditis is mitral valvulitis. In this condition the mitral valve has vegetations along the line of closure and the chordae tendineae. Mitral regurgitation (MR) may be present during an acute episode of rheumatic carditis. MS is usually the result of repeated episodes of carditis alternating with healing and is characterized by the deposition of fibrous tissue. MS may result from fusion of the commissures, cusps, or chordae, or a combination of these.2 Ultimately, the deformed valve is subject to nonspecific fibrosis and calcification. Lesions along the line of closure result in fusion of the commissures and contracture and thickening of the valve leaflets. The chordal lesions manifest as shortening and fusion of these structures. The combination of commissural fusion, valve leaflet contracture, and fusion of the chordae tendineae results in a narrow, funnel-shaped orifice, which restricts the flow of blood from the LA to the LV. The rapidity with which patients become symptomatic may depend on the number and severity of repeated bouts of rheumatic valvulitis. Frequently, the rheumatic episodes are not clinically apparent. In pure MS, the LV is usually normal, but there may be evidence of previous carditis with deposition of fibrous tissue. The LA is enlarged and hypertrophied as a consequence of LA hypertension. Mural thrombi are often found in the LA, particularly if atrial fibrillation has been present. Calcification of the mitral valve frequently also involves the mitral annulus. The pathophysiologic features of MS all result from obstruction of the flow of blood between the LA and the LV. With reduction in the valve area, energy is lost to friction during the transport of blood from the LA to the LV. Accordingly, a pressure gradient is present across the stenotic valve. The relation between valve areas, cardiac output, flow period, and average diastolic gradient between the LA and the LV is defined by the formula of Gorlin and Gorlin . It is readily apparent that maintaining cardiac output when the valve area is small requires a large gradient and thus an elevated LA pressure. Similarly, an increased demand for cardiac output, such as occurs during exercise or pregnancy, results in an increase in gradient and high LA pressures. More subtle is the effect of the length of the diastolic flow period on the relation between cardiac output and gradient. The time available for systole is that part of the cardiac cycle occupied by isovolumic contraction and relaxation or by ejection. As the heart rate increases, the total amount of time spent during systole increases despite a reduction in the systolic time per beat. Thus, time available for diastole decreases as the heart rate increases. Because blood can flow through the mitral valve only during diastole, the flow rate is inversely proportional to the duration of the flow period at a constant stroke volume. Of course, a higher flow rate results in a greater loss of energy to friction and requires a larger gradient and higher LA pressures. It is important to remember that the gradient from LA to LV is a function per beat, not per minute. Thus, the gradient is dependent on the stroke volume and the diastolic filling time, as well as the LV diastolic pressure. The pressure gradient between the LA and the LV, which increases markedly with increased heart rate or cardiac output, is responsible for LA hypertension. The LA gradually enlarges and hypertrophies. Pulmonary venous pressure rises with LA pressure increase and is passively associated with an increase in pulmonary arterial (PA) pressure . In up to 20 percent of patients, the pulmonary vascular resistance is also elevated,4 which further increases PA pressure. PA hypertension results in right ventricular (RV) hypertrophy and RV enlargement. The changes in RV function eventually result in right atrial hypertension and enlargement and systemic venous congestion; frequently, tricuspid regurgitation also occurs. In a small percentage of patients, there may be regional or global LV systolic dysfunction, the cause or causes of which are not fully understood. The heart has four chambers - two atria and two ventricles. The walls of these chambers are mainly made of special heart muscle. During each heartbeat both of the atria contract first to pump blood into the ventricles. 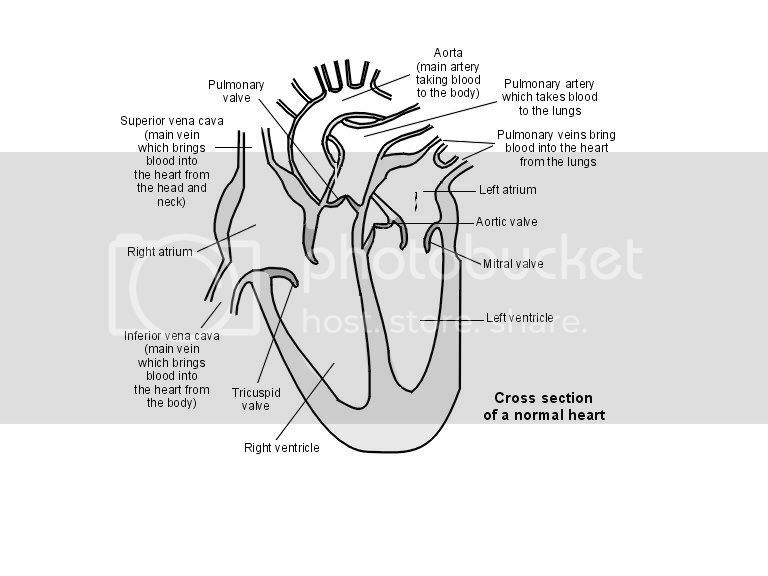 Then both ventricles contract to pump blood out of the heart into the arteries. There are one-way valves between the atria and ventricles, and between the ventricles and the large arteries coming from the heart. The valves make sure that when the atria or ventricles contract, the blood flows in the correct direction. What are the symptoms of mitral stenosis? •	Shortness of breath. This tends to occur on exercise at first, but occurs at rest if the stenosis becomes worse. This symptom is due to the congestion of blood and fluid in the lungs. •	Fainting, dizziness or tiredness. If the amount of blood getting through to the ventricle is reduced, the output of blood from the left ventricle to the body is then reduced. •	Chest pains(angina) may develop if there is a reduced blood flow to the coronary arteries (the arteries that take blood to the heart muscle). •	Chest infections are common. •	Coughing up blood stained sputum may occur due to the congestion of blood and fluid in the lungs.